Please take the time to review the 2017-2018 NAHJ Chicago Board candidates. Voting will begin on 9/20. What a busy and wonderful year we’ve had together! I’d like to do it again: the Natalie2.0 version! I feel like we’ve really grown as a chapter, and I have a LOT I’d still like to do with you! That’s why I’m hoping to retain your support for another year. This year has been exceptional in many ways, thanks in great part to your support and participation. We have had outstanding success in our Nuevo Comienzo event, which helped pave the way for our most successful year ever for student scholarships….. $6500 given to four very deserving students. We made a difference in the lives of those at Casa Central when we, as a chapter, volunteered as Valentine visitors with big hearts. In March, we enjoyed seeing many of your successes with our second annual Job Fair, which brought together news management with those who want to work in news. Together, we led the organization with the first ever Facebook live town hall. It set the bar high for NAHJ chapters across the nation. We’ve had volunteer days and mixers with other journalism organizations where we’ve been able to share and showcase our strengths, and work with others to realize our goals. We’ve achieved a place as one of the strongest NAHJ chapters in the nation, and will only continue to thrive with strong leadership. I’m writing this to you from NAHJ’s Excellence in Journalism conference, where I was just surprised and honored to win the Si Se Puede award!! But I’m accepting on behalf of our board and outstanding chapter, because Yes, we can…. and we DID! And we will do it again! I have a lot of plans for us in the coming year. In addition to growing our membership and scholarships, we will also send more deserving members to this convention on our chapter’s dime. While I pay for my way every year, I hope to apply as much as possible to sending income-challenged members next year. This year, we’re happy to have helped at least one jobless member here, and hope to send that person home with a new job! We can do this together, and I am ready and willing to do what it takes to make us THE BEST chapter that NAHJ has! Please give me your vote for president on September 20th, Hispanic Journalists’ Day! Carly currently serves as the Vice President for the Chicago chapter of NAHJ. She is an Emmy Award winning assignment editor for CBS 2 Chicago. She joined the station in September 2003 from WLS-TV where she worked as a desk assistant and field producer since 2000. Carly first got involved with NAHJ in 2015 when the chapter was relaunched by Blanca Rios, a current NAHJ Regional Director. 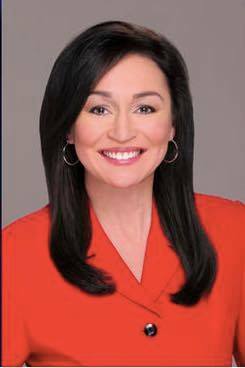 During that time, she was instrumental in organizing and executing WBBM-TV’s involvement with the NAHJ Job Fair. As the current Vice President of NAHJ Chicago, she chaired both the Job Fair and Scholarship Committees. This year, the chapter raised enough money to give three students $2,000 Journalism Scholarships and one student a $500 Multimedia Scholarship. (that was super exciting and motivational– so fun to be able to contribute to student’s success!) The Job Fair was also a success and she hopes to grow it again next year by partnering with other journalism organizations. Carly’s focus is to gain more chapter members and continue to organize events to keep Latinos connected with current and future journalists. Will is currently the Executive Director at Focus on Tomorrow, an education nonprofit that teaches high school student the fundamentals of journalism. Working mostly with at-risk youth in Chicago, Will seeks to expose teens to opportunity and expose their creativity. Over the years, Will has held various roles in media, including Stagehand, Camera Operator and Lighting Technician. 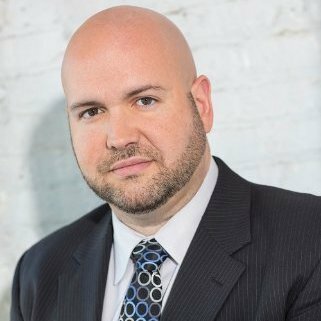 He has worked for television stations/networks such as WMFE in Orlando, WAMI in Miami Beach and Univision in Doral, Florida. Will has also filled various freelance roles in commercials and concerts. Upon furthering his education, Will moved into the business side of broadcasting at ABC 7 Chicago, where he served as an Accountant for 11 years. He resigned from ABC 7 in June of 2014 to serve as Executive Director of Focus on Tomorrow. I have enjoyed serving as the NAHJ Chicago Secretary for the past year. Upon hearing that the treasurer position would become available this upcoming term, I saw an opportunity to marry my finance experience with my passion for developing young, Hispanic journalists. And I want to do just that through NAHJ Chicago. I aim to continue raising funds for the benefit of awarding scholarships to Latino media students in Chicago. The success of the 2017 fundraising campaign is one that I wish to build upon in upcoming term. 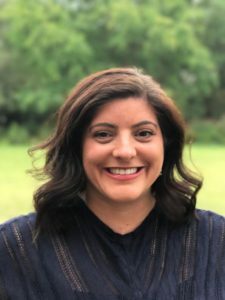 Laura Rodríguez is a multimedia bilingual journalist for Hoy/Chicago Tribune. For almost 3 years, Laura has focused on exposing untold and compelling stories of the Latino community in the area, focusing on bilingual Millennials and their multiculturalism. Her work ranges from human interest, entertainment, investigative pieces, to breaking stories. All completely produced, written and video edited by herself, often written in English and Spanish. If not all, most of her stories are curated to fit print and digital platforms. In 2016, Laura traveled to Guanajuato, Mexico to follow up on the story of the family murdered in Gage Park. She also traveled to Israel for a journalism fellowship with Fuente Latina to learn of the Latino presence in the Middle East. She also attended the historic Democratic National Convention in 2016. Laura has collaborated with Azteca Nacional in Mexico and Ciudad TV México. Laura served as a mentor for Global Girl Media Network, an organization that teaches women empowerment through the media for girls from underprivileged communities in the Chicago area. She has participated in a number of talks in journalism high schools and college classes as an example of a young Latina journalist in this fast and drastically changing industry. Born and raised in Guanajuato, Mexico, Laura learned English as her second language. She then attended DePaul University and graduated with a B.A in Broadcast Journalism, a Spanish minor and a Concentration in Latino Media. She has been an active member of the National Association of Hispanic Journalists Chicago chapter since she graduated college. Laura is a mariachi fanatic, a country music lover, and dances to almost every other type of music. She loves hanging out by the Chicago River as much as she likes living in Pilsen. She writes more than she cooks and enjoys a glass of rosé most Thursdays evenings. In other news, she is hoping to go back to grad school for a business degree in the upcoming year. A true multitasker by nature, Laura wants to run for secretary, not only to record minutes and keep records well organized but because she truly believes she can take Chicago’s social media presence to the next level. 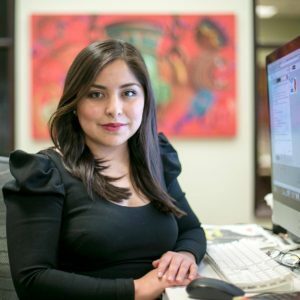 Her goal is to use NAHJ social media pages to proactively connect members and budding journos in the area to create better relationships and encourage each other to strengthen the Latino journo presence in the city. Some of her plans include: keeping all digital platforms up to date consistently, feature a journo in the area monthly (hidden gems), sharing job opportunities, create a group to share story pitches/ angles, one for our Spanish speaking outlets and one our English speaking outlets and connect student journos to professional journos. Carolina Cruz is an award-winning multimedia journalist, who now works as a News Producer for Univision Chicago. 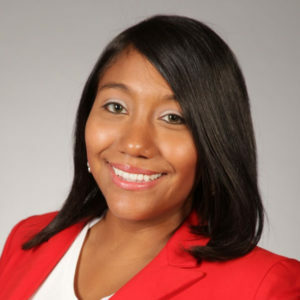 With more than six years of experience as a print and broadcast journalist in the Midwest and in Florida, Carolina has been selected as a Reporter Fellow for the Chicago City Bureau and she was honored as Rockford Hispanic Woman of the Year in 2015 by the Rockford Ethnic Heritage Museum. She was one of the co-founders of the NAHJ Chicago Professional Chapter in 2013. Since then she served as President, Treasurer and would now like to focus her efforts on organizing more workshops and hand-on sessions that will help young reporters and veteran journalists to stay on top of new trends and storytelling techniques. Therefore, she would like to become the new Professional Development Chair. Previous PostCome Celebrate with NAHJ Chicago!